The Lodges of Durand is an excellent place for my friend because he has his own bedroom, he gets three meals a day, and we don't have to worry about his personal hygiene and medications. Everything is right there for him. He's got a level of independence. It's been a really good fit for him. The staff has been exceptional. The room is really nice because he shares the living room, the kitchenette, and the bathroom, but he has his own bedroom. He does have a roommate who has his own bedroom too. I liked that there's enough area that he can still get up and walk outside. The meals were really good. They also have a huge common area with TVs and sofas. They have different things for the residents to do each day. The staff was amazing the day he moved in. They helped transport everything. They gave him a nice bed with a new mattress and box springs. You can bring your own stuff, but they furnished all the extras. They were so nice that he did not feel uncomfortable. On the day he moved in, we had three or four of the staff members on-site helping us. It was recently remodeled within the past year, so everything is all nice, bright, airy, and sunny, with very comfortable surroundings. His view is of a golf course. They have worked with us diligently and helped us maneuver through a lot of the paperwork. It's been a really good experience. The Lodges of Durand would like to thank you for your wonderful review of our Assisted Living Community! We are very excited to have a new Friend and addition to our family! The director of The Lodges of Durand was the one who gave me the tour. It's a very nice community, maybe a little bit older, with a real homey feeling. She showed me an activity schedule and a menu. They had some nice common meeting areas, where I saw a couple of residents putting together a puzzle. The place is clean and fresh, and the director was very knowledgeable and friendly. The tour was very well-done, and she did a follow up call back with me later and made sure we were happy with the placement we made for my dad, and that she appreciated the visit. We had this place pretty high up our list, and we were seriously considering it before we found the place we picked. Despite one's ever-changing physical or cognitive needs, we believe those individuals can continue to live a vibrant life. The Lodges of Durand, managed by Vibrant Life Communities, excels in creating a healthy, joyous, and friendly environment for all the people that live under our care. Our motto is "living with assistance" and that is because we provide you and your family a custom living plan based on your needs, desires, and strengths. This plan will assist you in our approach to creating a better life for you. The Lodges of Durand is dedicated to supporting the needs of older individuals. 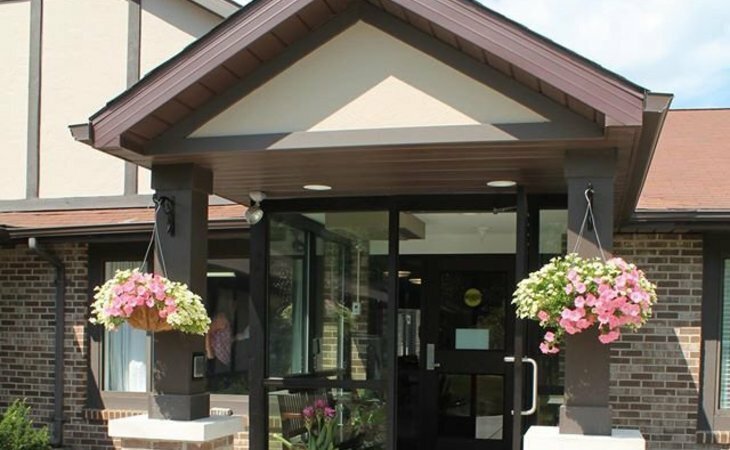 Whether you are living independently with us, in our assisted living lodge, or in our memory care lodge, you will have the best care you deserve. Our customized living plans and preparation start with meeting the whole family and discussing what you will need from us. Our living quarters are home to elderly men and women. We adapt to make your new living environment a warm and inviting place. Here at The Lodges of Durand, you will receive a personal care plan just for you. These plans are based on communicating with individuals and talking about their strengths, history, interests, and activities they have enjoyed taking part throughout their lives. What should caregivers and potential residents know about The Lodges of Durand?